Fright Night: A Horror-Comedy Done Right. Again. Remake. That’s a dirty word in Hollywood nowadays and one that turns off many a moviegoer, myself included. When a studio announces that they are going to remake a movie, the media and the readers groan & moan about how they will once again take a perfectly good movie and ruin it trying to recapture the glory of the original both onscreen and at the box office. In the end, it all boils down to rehashing old ideas and attempting to once again make a quick buck. 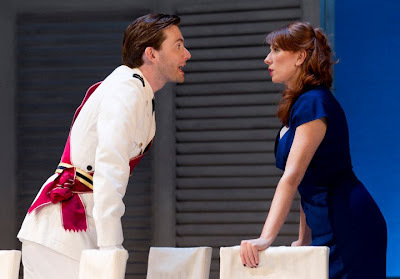 It is still currently unknown whether David will be able to perform on stage as Benedick in Much Ado About Nothing at Wyndham's Theatre in London tonight. He is still suffering from illness and vocal problems. David did test his vocals at the theatre on Tuesday but felt unable to proceed with the show, meaning he has missed both Monday and Tuesday evening's performances so far. He has also had to cancel a string of promotional interviews for his new film Fright Night, including interviews with Radio 1 and BBC Breakfast. Former Doctor Who star David Tennant was forced to pull out of a West End production of Shakespeare's Much Ado About Nothing this week after losing his voice, it has emerged. The actor missed two shows on Monday and Tuesday. Producers said he hoped to return to the stage on Wednesday. Understudy Alex Beckett played Benedick opposite Catherine Tate's Beatrice in the 40-year-old's absence. Big shame but David Tennant has lost his voice so can't come on my show today. We will get him back on soon though. Get better David! Former 'Doctor Who' actor David Tennant has finished ahead of current Time Lord Matt Smith in a survey to name the sexiest hunk in sci-fi. 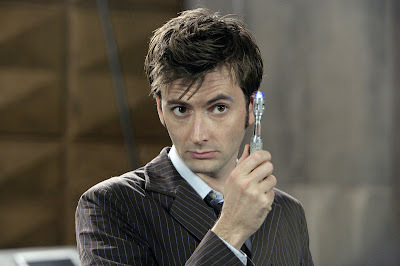 Former 'Doctor Who' star David Tennant has beaten current Time Lord Matt Smith in a poll to find the sexiest sci-fi hunk. The actor - who previously portrayed the titular character in the BBC One show - finished second in the survey commissioned by TV channel Syfy, beating off competition from 10th-placed Matt, while 'X-Men' actor Hugh Jackman clinched top spot. 'Torchwood' star John Barrowman came third in the poll, ahead of Hollywood hunks Johnny Depp, Harrison Ford, Robert Downey Junior, Orlando Bloom, Ryan Reynolds and Chris Hemsworth. Charlie Reid From The Proclaimers Joins Team AICR! AICR, who David Tennant is a patron of, are proud to announce that Charlie Reid from the Proclaimers will be putting on his running shoes and taking part in the BUPA Great Edinburgh Run for AICR this October! Charlie and his brother, Craig, penned a Scottish anthem when they wrote 'I'm Gonna Be' (500 miles). Now Charlie, one half of Scotland’s most-loved band, The Proclaimers, is taking time out from recording their 9th studio album to run a much shorter distance, in aid of AICR. The BUPA Great Edinburgh Run is one of Scotland’s most popular races and we’re on the lookout for passionate runners from all over the country to join Charlie on the start line in Edinburgh on October 2nd 2011. BFI IMAX Fright Night Ticket & T Shirt Competition! The BFI are offering 3 lucky readers the opportunity to win tickets to see Fright Night (Digital 3D) at the BFI Imax. Plus 3 runners up will win a fabulous Fright Night T Shirt! 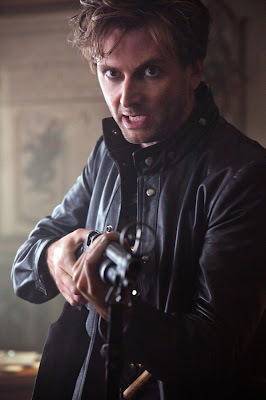 What is the name of David Tennant's vampire slaying character in the film? 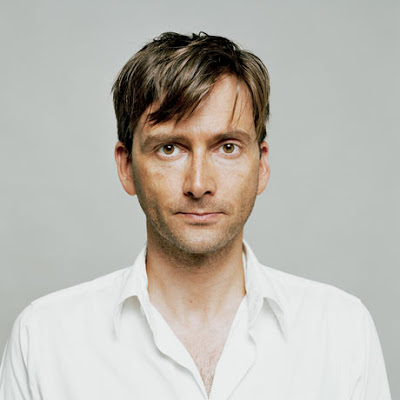 Email sarah@david-tennant.com with your answer, your name, address and contact details. The closing date is Monday 5th September 2011 - no entries recieved after this time will be entered in to the draw. Please note that you must be 15 or over to see the film! 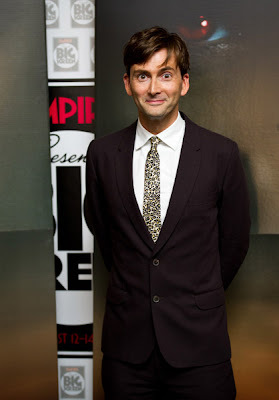 David's episode of This Is Jinsy will air on Sky Atlantic on Monday 19th Sepember. He will be playing Mr Slightlyman, a camp wedding planner with a penchant for plastic surgery! NOW Toronto have now added audio clips of David's interview with them on to their website. 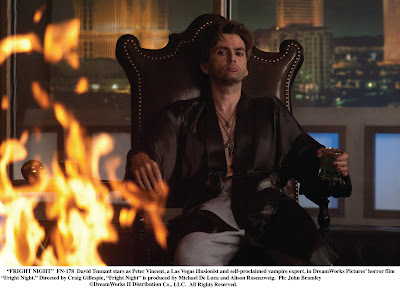 BFI IMAX will be screening David Tennant's latest film, Fright Night, in (Digital 3D) at the BFI IMAX from the 2nd till the 15th of September. "Charley Brewster finally has it all-he's running with the popular crowd and dating the hottest girl in high school. But trouble arrives when an intriguing stranger Jerry moves in next door. After witnessing some very unusual activity, Charley comes to an unmistakable conclusion: Jerry is a vampire preying on his neighborhood. Unable to convince anyone that he's telling the truth, Charley has to find a way to get rid of the monster himself. Craig Gillespie-helms this revamp of the comedy-horror classic, starring Colin Farrel, Anton Yelchin, Toni Collette and David Tennant." Above is a new full page advert for Fright Night that features in the new issue of OK! magazine. Fright Night is released here in the UK on 2nd September 2011 it is out now in the USA. Much Ado Update - David hopes to return tonight. David was unfortunately unable to perform in Much Ado About Nothing last night due to a sore throat and general lurgy but he is hoping to return to the play tonight. GQ Interview - they want YOUR questions! 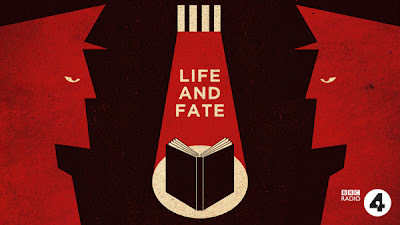 David will be taking part in BBC Radio 4's dramatisation of Life And Fate. The drama will air over a week, starting on Sunday 18th September. There are a number of events planned to coincide with the drama. The BBC Press Office have confirmed that David is to star in a new 5 part BBC Drama, Love Life. Award-winning writer and director Dominic Savage will return to BBC One with Love Life, a serial made through improvisation. 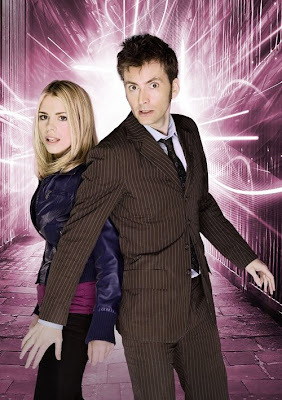 Five universal stories explore love in the modern day and each is led by one of the following big names: David Tennant, Billie Piper, Jane Horrocks, Ashley Walters and David Morrissey. Dominic Savage says: "I am looking to create something special that has a modern view on the age old mystery of love; something that expresses the reality of love and puts it on the screen. I am looking to explore these themes in the seaside town of Margate, with a group of incredibly talented actors who are ready to journey with me on this." 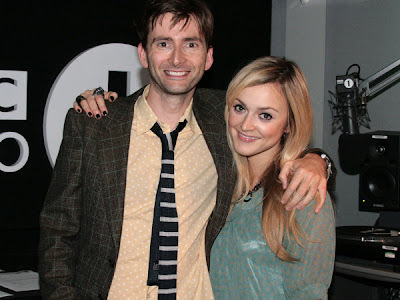 David will be a guest on Fearne Cotton's Radio 1 show on Wednesday 31st August 2011 to promote his latest movie Fright Night being released in the UK. 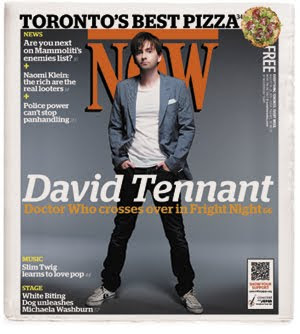 The above interviews with David are featured in Empire (October 2011) and Total Film (September 2011) respectively. 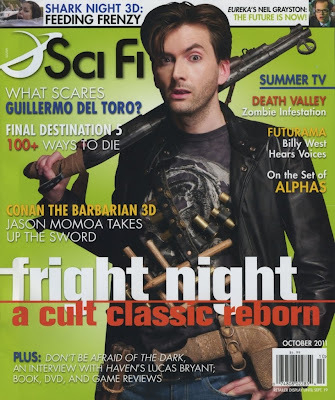 Both magazines feature more on Fright Night and Empire also features David in their coverage of the BIG Screen Event. They are both out now priced at £3.99. 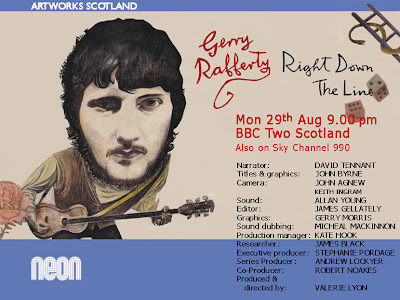 David will be narrating a new documentary about Paisley born musican Gerry Rafferty which will be aired on Monday 29th August at 9pm on BBC Scotland. You can also see it on Sky Channel 990 if you are elsewhere in the UK. David's name is being linked to two new projects. At the moment we don't have any confirmation that he will definitely be involved but, fingers crossed as they sound great! Firstly you may remember that David recently mentioned that he will be working with Dominic Savage. Dominic has a new BBC One 5 part drama called True Love and David is rumoured to be a member of the cast alongside Billie Piper, David Morrisey, Jane Horricks and Gemma Chan. And secondly he's being linked to the BBC Film Nativity 2. There's not much known about that, except that auditions are running at the moment. Thanks to @dtforum and @dramaworkshop. Have you ever fancied going into the Big Brother house? Well, for the first time ever, Big Brother is giving you the chance to spend an evening there. 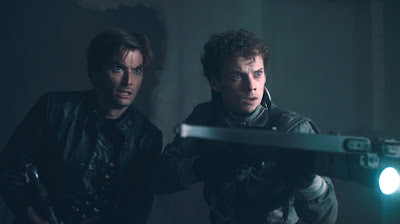 On Monday 29th August the celebrity housemates will attend a special private screening of David Tennant's new film Fright Night courtesy of Dreamworks. 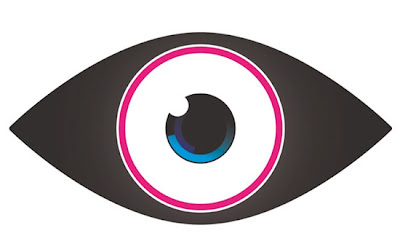 It will take place inside the Big Brother house and we want you to join them! They have 3 pairs of tickets to give away. The lucky winners will be dressed up in horror costumes and will sit amongst the celebrity housemates for the screening. Anglophenia are currently running a tournament, March Madness-style, devoted to British (and Irish) fan favorites. Right now, they are focusing on actors, and David is in the running! They are currently up to the semi final stage. Make sure you head over there now and cast your vote for him! Thanks to Kevin Wicks and BBC Worldwide. There's a moment in the current production of Much Ado About Nothing that I particularly love. 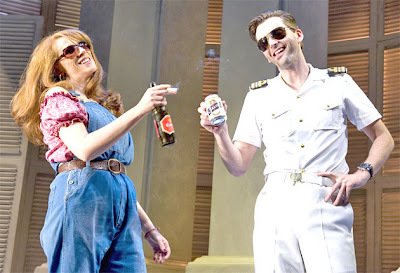 It's not when David Tennant's Benedick makes his entrance as a sun-bronzed prat in a golf buggy, nor his Cary Grant-style rat-a-tat-tat delivery of lines such as, "I would my horse had the speed of your tongue", not even when he finally gets to kiss Catherine Tate's Beatrice. It's the encore when Tennant skips across the stage, grinning from ear to ear, and you just know there's nothing on earth he'd rather be doing. I've never seen an actor so happy in his job. Visit Chris' page on the BBC site here to listen to their chat. Read a transcript of their chat below thanks to Sharon Hanley from BBC Radio 2. *Be warned that Chris does give away basically the whole plot of Fright Night! Eek! But it is extremely funny! 8.24 – BEING A BEATLES FAN DT: I became a Beatles fan very late in life last year. I've always liked them but it was when I was in Alberquerque making this film, Fright Night. I went to Walmart and thought I need some cds to play in this apartment they've given me and picked up Let It Be and from then became obsessed, and since then I've become like a proper full on flag-waving Beatles fan. CE: And what about Abbey Road - have you Abbey Roaded yet? "This title presents four classic fairy tales from Hans Christian Andersen, read by Sir Derek Jacobi, Anne Marie Duff, David Tennant and Penelope Wilton: "The Emperor's New Clothes" by Sir Derek Jacobi; "The Little Mermaid" by Anne Marie Duff; "The Fir Tree" by David Tennant; and, "The Wild Swans" by Penelope Wilton." The CD can be pre ordered in our shop here for just £4.49! You can read his interviews at the links below! 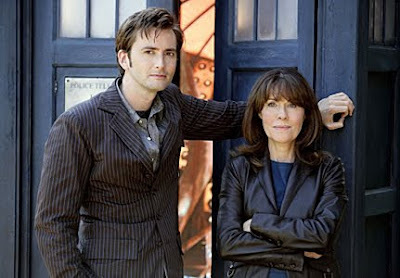 Edward Russell, who is the brand manager for Doctor Who, is to take part in a sponsored walk to raise money for Meadow House Hospice, the hospice that cared for Lis Sladen. The walk will start at the Upper Boat studios in South Wales on 3rd September. There are a number of screening parties across the UK for Sky Atlantic's new comedy, This Is Jinsy. David will be guest starring in episode 1 of the show as Mr Slightlyman, a camp wedding planner with a pechant for plastic surgery! Click here to find out how to get tickets at a venue near you! It will also be screened at the Edinburgh TV Fest on Friday 26th August at Filmhouse. 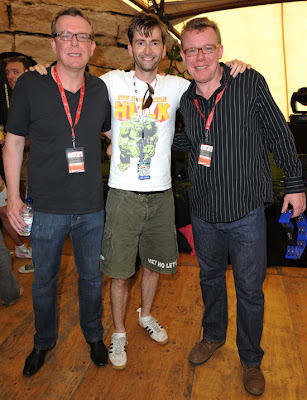 David will be a guest on the Chris Evans Show on Radio 2 on Friday 19th August 2011 between 06:30am-09:30am. He will also be joing Christian O'Connell on Friday 2nd September 2011 to co host the Absolute Radio Breakfast Show. The fully revised and updated Doctor Who Encyclopedia, covering every episode from 2005 to the present.River Song still a riddle? Stumped by the stolen planets in the Medusa Cascade? Forgotten what happened in the Timelines That Never Happened? Look no further…Completely revised and updated, this is the ultimate guide to everything and everyone that’s ever happened, un-happened and happened again in the worlds and times of the Doctor. 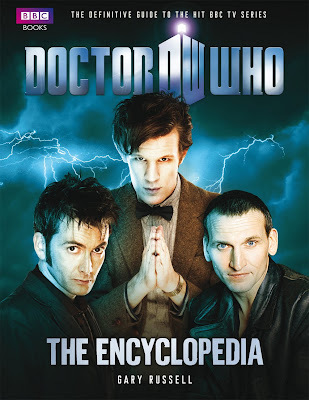 The Doctor Who Encyclopedia now covers the Eleventh Doctor's first two seasons, plus every Ninth and Tenth Doctor story, and is packed with photographs and artwork from seven stunning years of adventures - including the charity specials, animated adventures, computer games, TARDISodes and preludes. This is your complete tour of time and space – from ABBA and Inspector Abberline to Melody Zucker and the Zygons. Doctor Who: The Encyclopedia will be accompanied by some very exciting digital plans to be announced at the end of August. Glorious 39, which starred David as Hector, will have it's terrestrial premiere on BBC Two and BBC HD at 9pm on Sunday 14th August 2011. You can find out more about the film in our Glorious 39 section here. Win Tickets To The UK Fright Night Premiere! 3x Pairs Of Tickets Up For Grabs! Thanks to our friends at Empire Presents BIG Screen and Romley Davies, we're pleased to be able to offer our visitors the chance to win tickets to attend the UK Premiere of Fright Night at BIG Screen on 14th August 2011! Not only will you get to see this amazing movie, starring David as Peter Vincent..BUT you'll also get the chance to see David himself as he will be introducing the movie to the audience and walking the red carpet!! Fright Night is a remake but in what year was the original released? ALL ENTRIES MUST BE IN BY 10AM ON WEDNESDAY10TH AUGUST 2011 so you need to be quick! We will email the winners directly. Please remember that you must be able to make your way to the O2 in London to win this prize. We have 3 x pairs of tickets for this event avaialbe to visitors of our site. David is currently narrating a new six part documentary over on Watch called the TA And The Taliban. Who's This In the Radio Times?! Your Chance To See David At BIG Screen! LA Without A Map Competition & Trailer!